BookHounds: FURday PhoDOGraphy with a giant dog! FURday PhoDOGraphy with a giant dog! 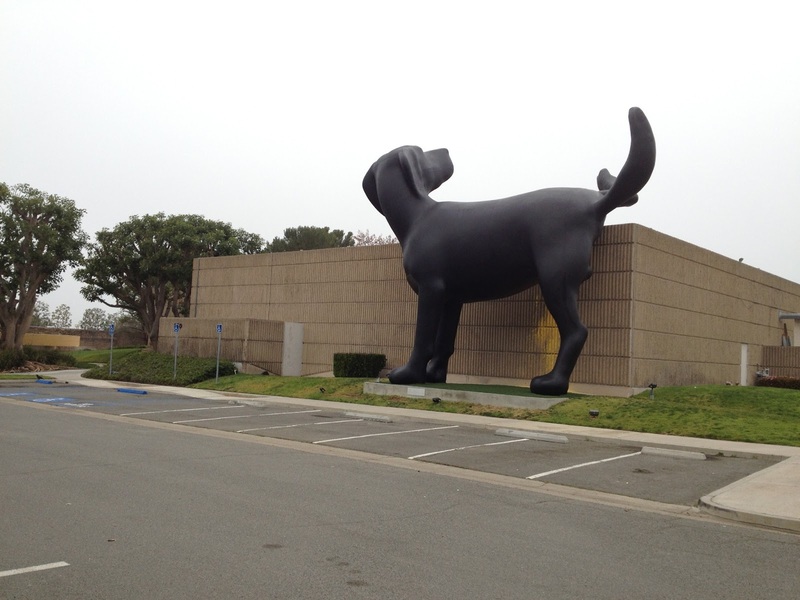 I went to an art exhibit today at the Orange Country Museum to check out the show for Richard Jackson, because any time any one puts a giant dog peeing on the side of a building, it has my name on it. 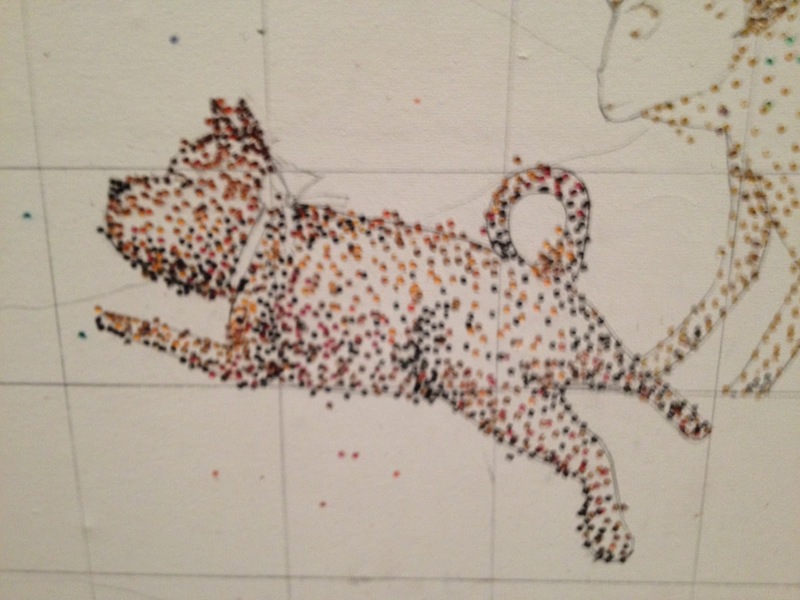 If you remember your art history, this pointilism by Seurat was reproduced by the artist with in very different way....using a paint gun. Love that building! And I love the St. Patrick's Day outfit as well! Love the pictures but have to admit the dog peeing on building is my favorite! If I was in a car, I would stop it and get out just to take the pictures!!!!! Great post loved it!! It made me smile and laugh!!! As an HB native living in the Pacific Northwest, your blog makes me homesick and happy at the same time. Thanks for a glimpse of the OCMA. Thank you so much, I just saw a really depressing movie and the dog peeing made me laugh. Next time were in CA we will have to go to the museum. I think it is only up through the end of May. 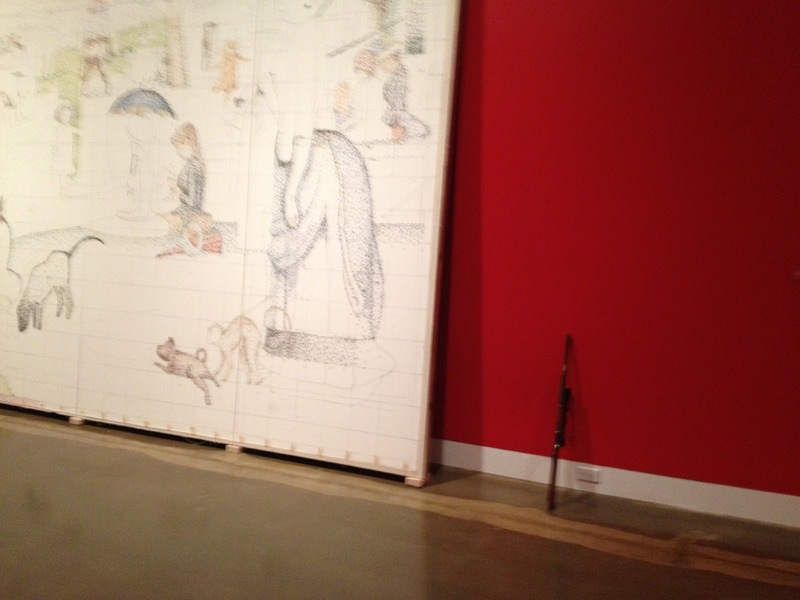 I was hoping that they would keep the dog as a permanent installation but the artist believes everything is temporary.